Motor Parts - Henderson Motorcycle Co.
236 ------- KJ MOTOR GASKET SET (REPRO) 39 PIECES. 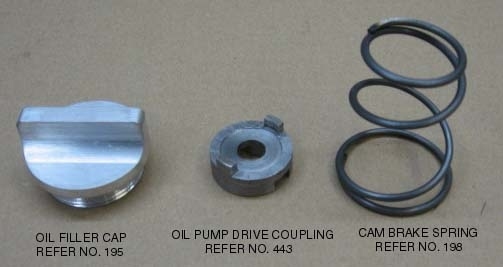 INCLUDES GASKETS, FELTS, COPPER RINGS, ETC, TO BUILD YOUR MOTOR. 237 ------- DELUXE MOTOR GASKET SET (REPRO) 43 PIECES. 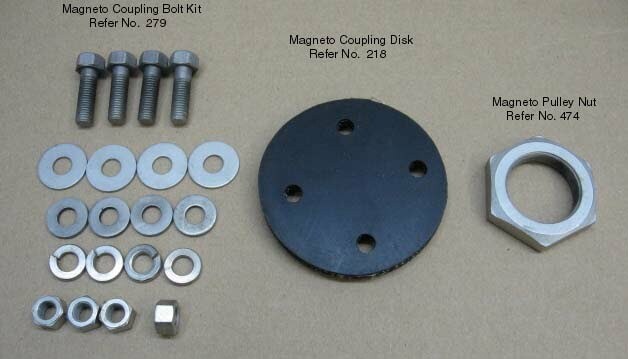 INCLUDES GASKETS, FELTS, COPPER RINGS, ETC, TO BUILD YOUR MOTOR. 355 ------- KJ MOTOR HARDWARE KIT. 13 INDIVIDUAL NICKLE PLATED SETS. 499 214-N SMALL PATTERN 1/4-28 NUT. USED IN MANY AREAS.